« Ah, the Flu Season is Here!! A while back I wrote about how I had a gout attack. It was focused on my left big toe and I can tell you it was the most horrible pain I have ever felt. It lasted for about three weeks. Ultimately, it started to subside but I will tell you that those weeks were pure hell, not just for me but for my family. 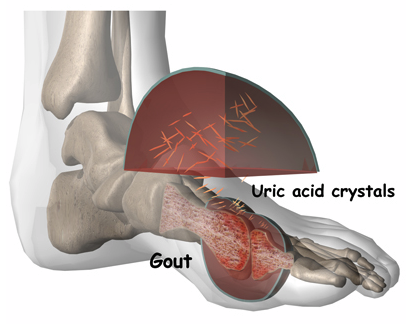 Basically, you get gout when you have too much uric acid in your blood. This happens when you drink a lot of alcohol (I don’t unless my mother in law is coming to visit), eat rich foods (guilty – I love my fish) and don’t drink enough water (guilty – do I really want to be peeing all day long?). 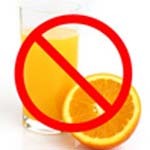 Now, a new study has come out that says that drinking orange juice, soda or other sugary beverages can also increase gout in middle age women. For women in the study who drank two or more servings of these drinks a day, the risk of gout was more than double that for women who drank sugary sodas and less than once per month. it was practically mandatory to have a big glass for breakfast (along with my real eggs and real bacon). This study was published in the Journal of the American Medical Association. The thing that I found interesting was that, while gout is not common in the United States, the rate of incidences has more than doubled over a 20-year period, from 16 cases per 100,000 Americans in 1977 to 42 per 100,000 in 1996. Coincidentally, over this period we Americans have consumed increasing amounts of soda and other drinks sweetened with fructose. of the warnings on the label is that alluprinol “may cause gout.” Nice, huh? But I did some research and found that getting gout in some weird way flushes out that high uric acid. I’ve been on the pill for three weeks and, KNOCK ON WOOD, no problems so far. 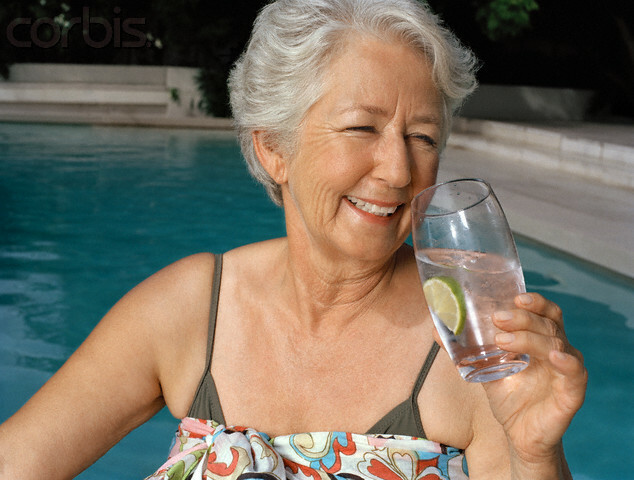 Of course, I’ve been drinking a LOT of water and spending a lot of time in the bathroom. I also have been exercising more. We’ll see how it goes, but I hate getting old, I just hate it.